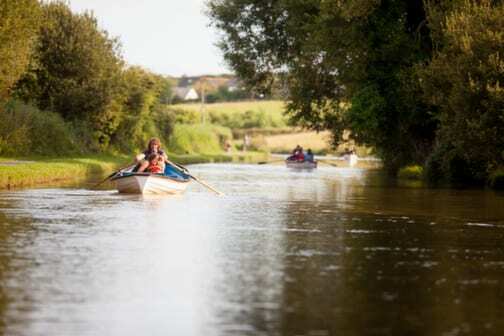 With a pretty route to stroll and plenty to do, a walk or paddle along the historic Bude Canal is a must for any visitor. Parking is easy on The Crescent, right next to our friendly Tourist Information Centre (EX23 8LE), which is also an excellent first stop before you explore the canal for yourself. Several features along its length are unique in British canal history, as you will discover. A unique waterway, it was originally created for transporting lime rich sand to local farms. Today it is a place for fun rather than industry. 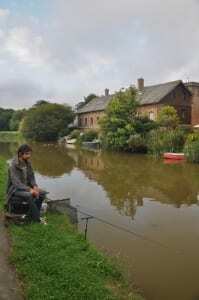 Canoes, kayaks, pedaloes and bikes can all be hired easily (see our fun seekers section), while it is also a fantastic coarse fishery with some large and unusual species to catch, as our fishing page will tell you. A level towpath also makes the canal an ideal place for wheelchair users or families with pushchairs. Follow the canal out of town and you have the chance to see all sorts of wildlife, especially as you approach Bude Marshes. Our for walkers and nature fans sections reveal more on recommended routes and things to spot. Did you know? Bude’s own unique “cut” is England’s most Westerly major canal. Just a short stretch remains of the ninety-five mile long project proposed in 1774. The idea of the Bude Canal was conceived in 1774 by Cornishman, John Edyvean. Its main purpose would be to transport lime-rich sea-sand inland, to use as a manure on farms where soils were acidic and unproductive. Other cargoes, such as coal, culm, slate, timber, iron and bricks could also be carried and farm produce exported. However, his scheme proved too ambitious and it was abandoned until 1817, when renewed local interest produced a canal survey and report. This proposed a 19ft wide canal, consisting of a two mile stretch navigable by barge from Bude to Helebridge; plus another 33 miles of narrow tub-boat canal, where wheeled ‘youb-boats’ would be pulled by horses, then winched up a system of ‘inclined planes’ to get over the hills. Also proposed was the building of a sea lock, a breakwater and moving the mouth of the River need, whilst water would be supplied from the specially formed Lower Tamar Lake. Costs were estimated at £90,000. The project was eventually agreed and work began on the 23rd July, 1819 under the Bude Harbour & Canal Company. Four years later, much of the line was opened and in 1825 all that was ever to be built was completed at the final cost of £120,000. Although never a great success for the shareholders, the canal was indispensable to inland communities and enabled their farms to grow and prosper. However, trade declined drastically when the railway reached Bude in 1898 and the Canal closed in 2901. Most sections were sold back to the landowners. In 2006 the Bude Canal Regeneration Project began work on a £5 million facelift, aimed to restore the first two miles of the canal from the sea lock to Helebridge. This was completed in 2009. Read more about the history of the Bude Canal.